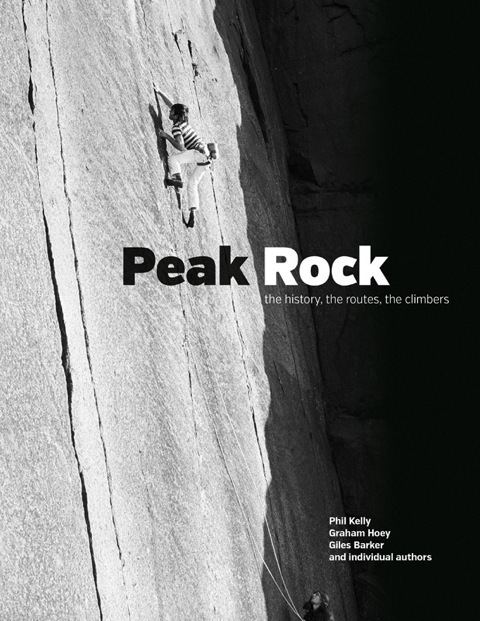 Meticulously researched and written by a team of local authors, this is the story of the sharp end of Peak District climbing as told through the words of many of the Peak’s – and the world’s – top climbers, including: James W Puttrell, Jack Longland, Joe Brown, Don Whillans, Ed Drummond, Tom Proctor, John Allen, Ron Fawcett, Andy Pollitt, Jerry Moffatt, Johnny Dawes, Ben Moon, Miles Gibson, Pete Whittaker, Steve McClure, Ryan Pasquill and many more. 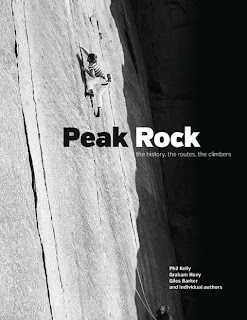 The late Giles Barker first started work on Peak Rock – then titled Peak Performance – in the early 1980s, before progress was halted by his premature death in 1992. It was almost twenty years before Phil Kelly picked up where Giles left off, pulling together Giles’ original research and interviews, which were stored at the Mountain Heritage Trust. Phil enlisted Graham Hoey to work on the book, updating the manuscript with their own interview material and other primary source information, writing a number of missing chapters and also adding a number of chapters, including the significant developments of the 1980s, 1990s and 2000s.